Naresh is a former Indian national gymnast and yoga champion with extensive training in sports massage and stretch therapy.Sports Massage with Naresh benefits professional and amateurs athletes, as well as executives and people from all walks of life, as stretch both releases the muscles and tunes them, making injury less likely. His holistic approach to therapies and fitness coaching enhances physical, mental and spiritual health, and allows his clients to remodel their lifestyles. Naresh will help you to open your body and mind to live life to the fullest. He focuses on four modalities: Stretch therapy, therapeutic massage, restorative yoga and fun-fitness. His Holistic Fitness and Therapy programs are based on these modalities. The goal of the Holistic Fitness is to restore alignment, develop strength and flexibility to bring physical, mental and spiritual balance while having fun. Common chronic illnesses such as arthritis, depression and physical imbalance which conventional medicine and treatments together with Naresh’s therapeutic touch could bring lasting relief. Naresh’s work with his clients helped them to remove chronic pain, rehabilitate injuries, increase mobility, and sometimes even avoid operation. 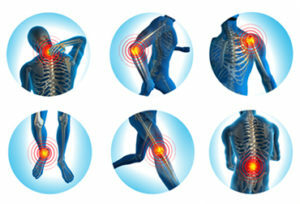 Muscle imbalance cause poor posture, which trigger muscle and joint pain/sprain/strain. Delaying to correct this can lead to severe muscular, neuromuscular and bone problem. Therapeutic massage using a combination of different manual therapies is found effective to prevent lower back, neck, shoulder and knee pain; neuromuscular pain such as sciatic pain, carpal tunnel syndrome, whiplash and frozen shoulder. It is also beneficial for those suffering from arthritis and post-operational rehabilitation. Habitual physical and emotional stresses and movement patterns accumulate bit by bit over time, affecting the structural integrity of the joints, which can and will result in chronic pain if the postural symmetry is not balanced. By the time the injury becomes chronic, other structures are forced to compensate, leading to further damage and muscular imbalances. Stretch therapy corrects postural imbalance, improves strength and flexibility, which helps to increase energy, decrease pain and prevent further injuries. Exercise is meant to be good for health. However your exercise routine is not complete if your intense workout is unable to release all the stress and tension built up through exercise. Not relieving the stress will lead to severe muscular and joint problems. Professional athletes/regular gym users may also suffer from injuries due to prolonged over-use of muscles which gradually diminishes performance and contributes to a feeling of aging. Your exercise approach should be rehabilitative stretch for recovery which ultimately improves performance and feeling of youth. Human nature and the environment play an important role in maintaining a healthy lifestyle. People who are prone to obesity, stress, busy/inactive lifestyle, old injury/pain may be discouraged from not having a healthy exercise routine. Your exercise routine should be based on fun-sports; stretch-rehab is a key motivator to retaining health and well-being. Enjoy tailor made training to awaken your hidden potential. It is based on stretch-rehab, yoga-Pilates, and fun-fitness rather than just focusing on aerobic and anaerobic exercise regimens only. This is designed to build confidence and encourage regular exercise routines. Golf, Tennis, Rugby, Soccer players and Dancers require great deal of stretch routines to enhance their performance which prevents and rehabilitates injuries. Naresh’s tailor-made stretch exercise relax the body, release stress and improve flexibility in a fun and effortless way. Regular stretch maintains the body; keeps injuries at bay and makes sport more fluid and enjoyable. Teams will be better prepared for competitions and benefit from invigorated morale. Yoga is an ancient science of human body and those who master it can overcome stress and tension, keeping fit physically, mentally and spiritually. Yoga training combining asanas, breathing and meditation help to eliminate fatigue and control mental facilities. Rolfing is a system of soft tissue manipulation and movement education that organizes the whole body in gravity. Rolfing bodywork affects the body’s posture and structure by manipulating the myofascial system (connective tissue). Often considered a deep-tissue approach, Rolfing bodywork actually works with all the layers of the body to ease strain patterns in the entire system. Research has demonstrated that Rolfing creates more efficient muscle use, allows the body to conserve energy, and creates more economical and refined patterns of movement. Rolfing has also been shown to significantly reduce chronic stress, reduce spinal curvature in subjects with lordosis (sway back), and enhance neurological functioning. “For many years I was suffering from severe backpain. Doctors were consulted and told me I need to undergo a spine surgery which I did not really want to. A chiropractor helped me to get my correct posture but still I was not even able to carry my 3 year old daughter on my shoulders without serious backpain or even bending forward to brush my teeth. Obviously my whole body was imbalanced for many years. Then I met Naresh and my life was changed after just a few sessions. Today I am able to carry my daughter without any pain and also closing my shoelaces is not painful anymore.